Remember when you wanted to downsize and get rid of your cell phone because it was the size of a semi truck? Remember when you wanted to get rid of your flip phone for something smaller? And remember when you purchased a smaller phone because everyone was saying smaller phones were better? I remember all of this vividly and thought I had a good grasp on where technology was going. But like my son, technology can't make up it's mind. Apple is jumping on the bandwagon of constantly changing. The iPhone has gotten bigger. The iPhone went from a screen size of 3.5" to 4". Just when my hand was used to one phone size it'll have to adjust again. Apple hasn't stopped there either. Now the Wall Street Journal is reporting Apple has ordered more than 10 million units for the fourth quarter of this year of what is being called the 'iPod mini'. If Apple is planning to launch a smaller iPad, it will be a direct competitor to Amazon’s small Kindle tablets and also Google's Nexus 7. The new iPad is rumored to have a 7.85 in screen (vs the 9.7 inch display on its current iPad) and a lower resolution than the third generation iPad — meaning it might not include Apple’s Retina Display technology. And truly, is this new iPad nothing more than a larger iPod Touch? So now what? 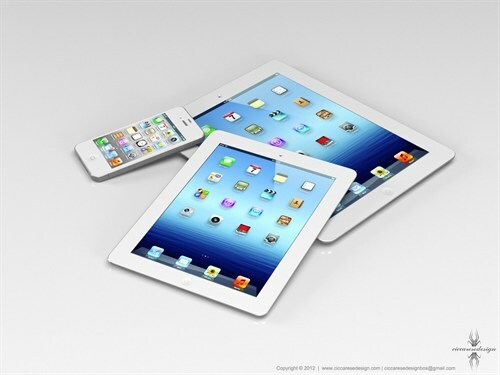 The iPhone is bigger and now the iPad will get smaller? What's next, an iPad that also makes telephone calls? To answer my own question, the device already exists - it's called the Samsung Galaxy Note, which weighs in with a screen size of 5.3".